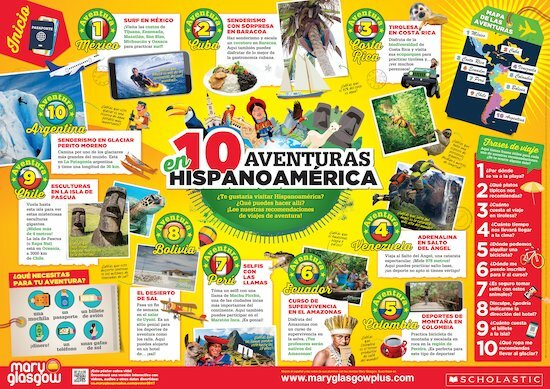 Take a trip around Hispanoamérica with our new Spanish language poster. From México to Argentina and everywhere in between, students can learn all about Hispanoamérica landmarks and regional activities, while discovering useful new Spanish vocabulary to help them on their own adventures. Filled with fun facts, authentic phrases and colourful images, this new A0-sized classroom poster is perfect for teachers and students alike.